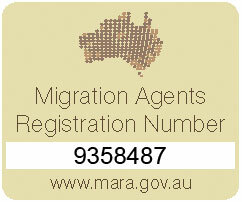 Erskine Rodan OAM is the Chairman of the Migration Law Committee of the Law Council of Australia. He has been practising law for nearly 40 years. During this time he has excelled as a lawyer, in his contribution to the legal profession, as a Human Rights activist and as a businessman, building one of Australia’s premier immigration legal practices. 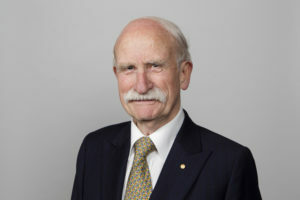 On 26 January 2009, Erskine was awarded the Medal of the Order of Australia for his services to the law, particularly through the Law Institute of Victoria, and to the community through legal aid and as an advocate for refugees. Graduating from Melbourne University in 1974, Erskine worked at Slater & Gordon before expanding his experience at other firms and opening his own practice in 1977, where he concentrated on immigration law. He was instrumental in establishing immigration law as a specialist practice area, was a founding member of the Refugee Advice and Casework Service (now known as the Refugee and Immigration Legal Centre) and served on the Council of the Law Institute of Victoria between 1984 and 2006. Erskine became an accredited immigration law specialist with the Law Institute of Victoria in 1992 and the Human Rights Equal Opportunity Commission has granted him a High Commendation Award for his long term legal advocacy of human rights and immigration matters. In 2007 the Law Institute of Victoria made Erskine an honorary life member and granted him the Paul Baker award, which recognises significant achievement in administrative and human rights law. Erskine has been tireless in his efforts to build a legal practice that provides quality advice and assistance, and is renowned among his peers as one of Australia’s foremost experts in immigration law. He possesses an incredible understanding of the legislation and is second to none in his application of the law to help his clients. Erskine currently focuses much of his work on family migration, skilled visas, appeals, refugee and humanitarian cases, and litigation. To get in touch with Erskine, call +613 9329 8744 right now to organise your consultation. Christine Rodan has been practising law for more than 20 years and has focused her legal career on immigration law. She has built a reputation for exemplary work with businesses and skilled migrants by tailoring solutions to meet her clients business and personal objectives. 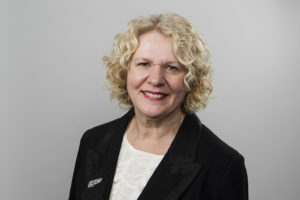 Christine graduated from the University of Melbourne in 1974, obtaining both a Bachelor of Music and a Diploma of Education. She obtained her Bachelor of Laws (Honours) in 1987. Christine joined Erskine Rodan & Associates in 1989 and became a Partner in 1994. Christine has managed the firm over extended periods of growth by using her business acumen and recruiting high calibre staff. 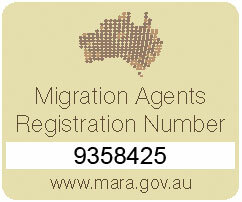 Her talents in the skilled and business immigration areas are well respected in the profession, and she became a Law Institute of Victoria Accredited Specialist in immigration law in 1994. She possesses incredible insight, clarity and understanding of the law and how it applies to unique and complex situations. Christine’s main areas of practise include business migration, employer sponsorship, skilled visas, spouse and family migration, cancellations and appeals. Christine also has expertise in refugee and litigation matters. Christine is a member of the International Law section of the Law Council of Australia and the Law Institute of Victoria. Christine is also a member of the Restaurant & Catering Association of Victoria, the Entrepreneurs Alliance and the TiE Melbourne chapter of The Inspired Entrepreneurs (TiE). To get in touch with Christine, call +613 9329 8744 right right now to organise your consultation. Gabrielle completed a Bachelor of Arts/Bachelor of Law at Monash University in 2011. She also completed a Graduate Diploma of Legal Practice at Leo Cussen Centre for Law in 2011. 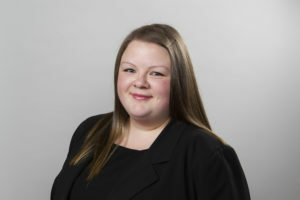 Gabrielle undertook a professional placement at Erskine Rodan and Associates in November-December 2011 and was further engaged by the firm in January 2012. She was admitted as an Australian Legal Practitioner in March 2012. Gabrielle has been a member of the Golden Key International Honour Society since 2007 and a member of the Law Institute of Victoria since 2012. To get in touch with Gabrielle, call +613 9329 8744 right now to organise your consultation. Cheng Yee completed a Bachelor of Law at Monash University in 2016. She also completed a Graduate Diploma of Legal Practice at Leo Cussen Centre for Law in 2016. She was engaged by Erskine Rodan and Associates in January 2017 after undertaking a professional placement there in November – December 2016. She was subsequently admitted as an Australian Legal Practitioner in April 2017. Cheng Yee can also converse in Mandarin.